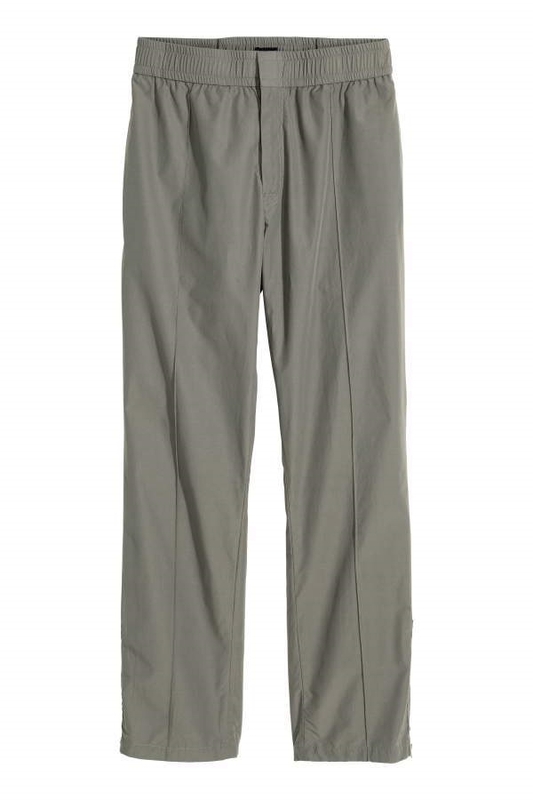 Jogger-style pants in crisp, woven cotton-blend fabric. Elasticized waistband, zip fly, side pockets, and back pocket with zip. Straight legs with stitched creases. Zip at hems.